The benefits of potted plants are numerous and well-known. They clean your air, boost your mood, and even assist in recovery from physical ailments. But why stop at small houseplants? Trees provide the same benefits and more! Here’s some help in choosing an indoor tree and caring for it. Before you bring a tree into your home, think about placement and height restrictions. Depending on the species, you’ll want to put an indoor tree in an area that provides the most favorable conditions. Keep in mind humidity, light requirements, and temperature. Some species are very forgiving, but others are a bit more delicate. If your home has no good options for providing a tree with direct sunlight, consider one of the following species that do well in moderate to low light conditions. 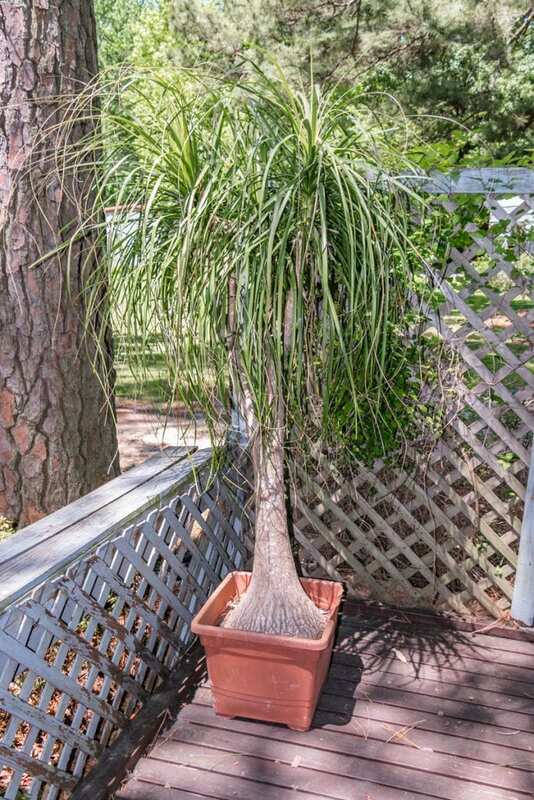 Madagascar Dragon Tree (aka red edge dracaena): Tolerates low light but grows most quickly in sunny, indirect light. 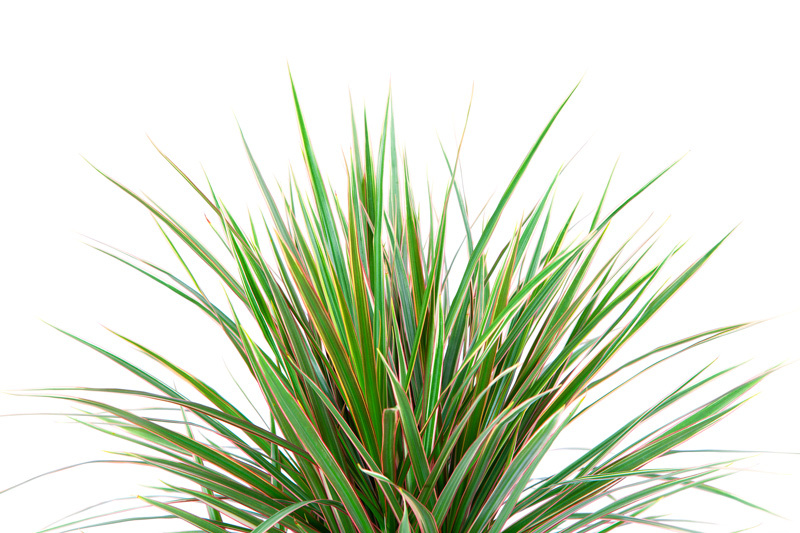 Kentia Palm: Thrives in low light and is extremely hardy. It’s drought-resistant, too! 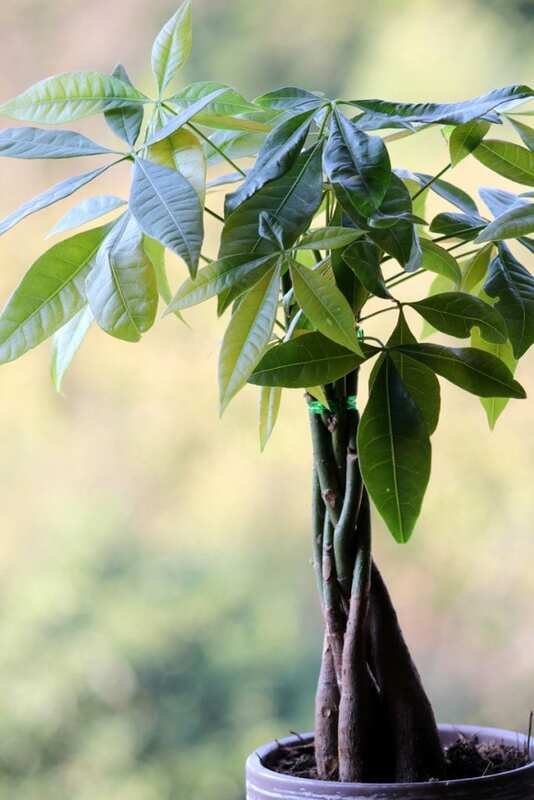 Umbrella Tree: Loves a good north-facing window and thorough but infrequent watering. There are strategies you can employ to increase the humidity near potted trees, but it’s more difficult to care for a tree that prefers dryness if you live in a humid area. 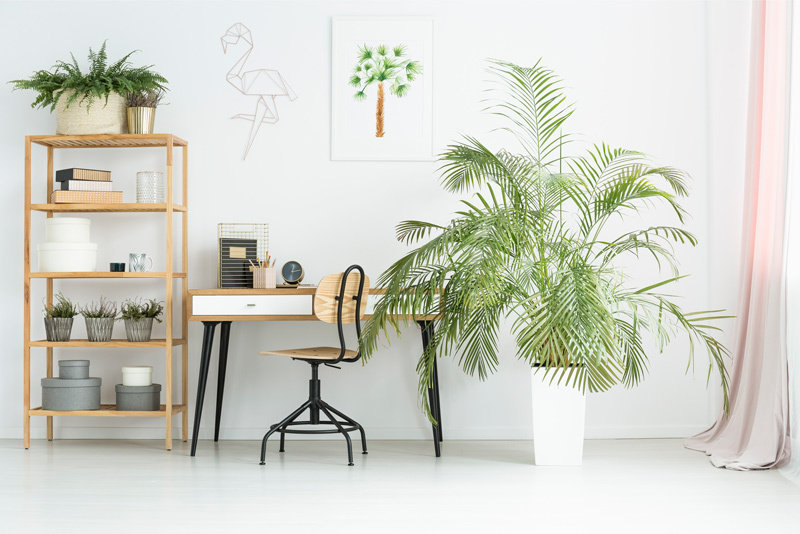 Tree Fern: Tropical tree with several popular species for growing indoors. Keep the soil moist and the humidity high! Money Tree: Prefers a consistent temperature and regular fertilization but is low-maintenance when it comes to pruning. If you travel often or you’re just starting to cultivate your green thumb, these trees are good options because they don’t need to be coddled. They do best when left to their own devices. Yucca: Likes bright, direct light. This tree is drought-tolerant, so pick a well-draining soil and don’t overwater. 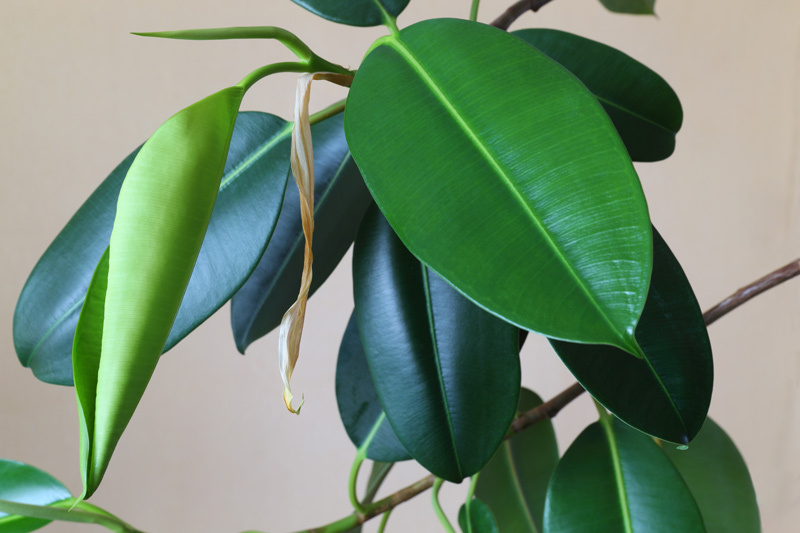 Rubber Tree: Can go up to two weeks without water in its dormant months. But it needs bright yet indirect light. Ponytail Palm: Prefers fast-draining soil and full sun. Only water occasionally in the winter months. Some trees do best when left indoors year-round, particularly those that are notoriously change-averse. If you’ve found a good spot in your home and developed a routine that’s working, just keep it up. However, moving your indoor trees outside does provide benefits. Many trees grow more in the warmer months and will thrive if provided with additional sunlight. 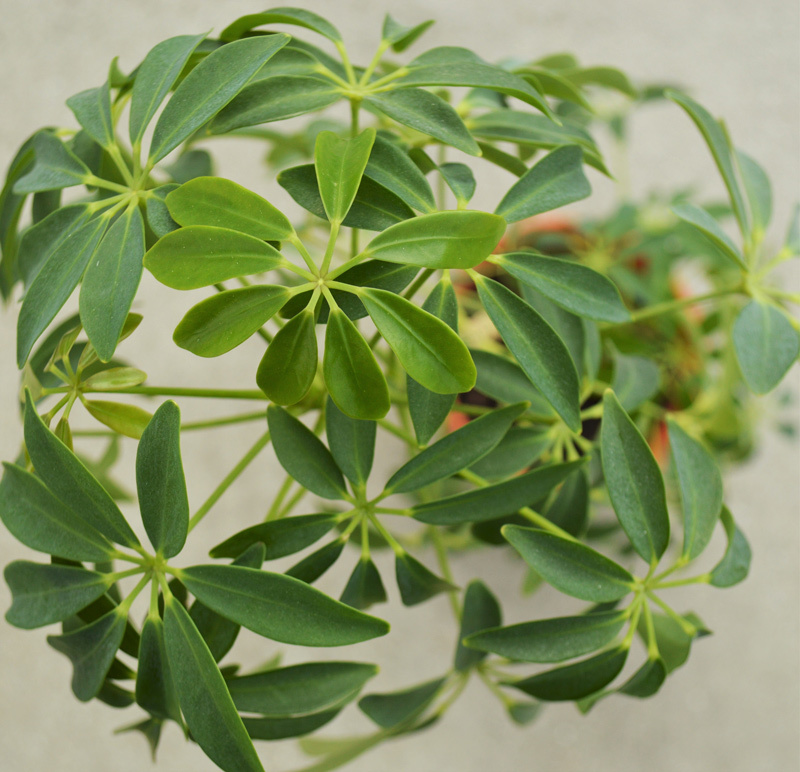 Low-light plants should be monitored carefully to avoid burnt leaves in direct sun. Tropical, humidity-loving trees should be brought inside when temperatures start to fall. Consider a humidifier during winter months to offset their exposure to dry heat sources in the home. Keeping an indoor tree is a rewarding project. They can be extremely long-lived and provide just as many valuable services indoors as out. To learn more about the residential and commercial tree services that we offer, visit our website and contact us today. As the leading tree service professionals in Northern New Jersey, we always treat your trees and property with respect.